Adversity has brought the best out of them before. 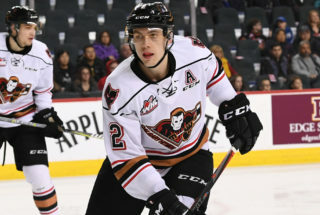 The Hitmen kick off the weekend with a clash against the Prince George Cougars Friday night at the Scotiabank Saddledome looking to snap a three-game losing streak. 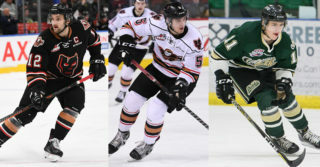 Their last setback came Sunday afternoon to the hands of Red Deer in a 4-1 loss. Hunter Campbell scored the lone marker while Jack McNaughton ended the contest with 28 saves to keep them in striking range. The tilt against the Cougars presents an opportunity to get back to their winning ways in the lone meeting of the season. Last year saw the teams split a two-game set which included a 2-1 shootout win for the Hitmen on Oct. 22, 2017. 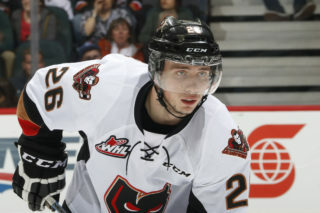 In the past six games against Prince George at the ‘Dome, the Hitmen have gone 4-2. The Cougars are currently on a four-game skid going 0-2-2 including a mark of 4-4-2 record in their last ten games played. 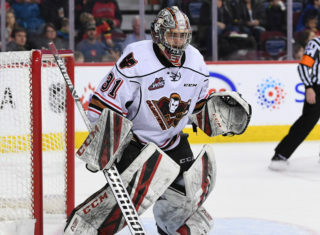 Despite the losing streak, they still find themselves just two points back for the second and final wildcard spot in the Western Conference and five back for third in the B.C. Division. With 24 games left on the regular season schedule, the Hitmen continue to hold on to a wildcard spot in the Eastern Conference, sitting two points up on Brandon. 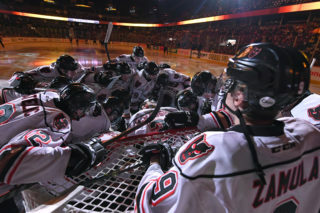 After starting the year 0-5-1-0, the Hitmen have gone 21-14-2-1 as they have shown their ability to bounce back. Something they’ll need to do again to snap the losing skid. “Our division is so tight right now and we need the points to stay right there in the mix,” Dakota Krebs said. “We need to get back to our style of game that made us successful. The Hitmen will return to action Sunday afternoon for a match-up against Kootenay for the final game of a quick three-game home stand. Hunter Campbell (1G, 2A) is riding a career-high three-game point streak. James Malm (2G) has points in back-to-back games. Mark Kastelic (2G, 4A) has points in four of his last six games. Kaden Elder three assists away from 50 and seven games shy of 300. Egor Zamula needs four assists for 50 while Carson Focht is six assists away from 50. Riley Stotts is seven points short of 100.